Final Fantasy XV loves retro games. The boys of Final Fantasy XV are always playing the retro-style smartphone game King’s Knight and there's also the mini-game Justice Monsters Five in XV. A King's Tale Final Fantasy XV is another nod to this, but adds story into the mix to make the side-scroller a little more than just a side experience. I had fun with the short side-scroller but as a fan of Square Enix’s usual ambitious and cinematic storytelling, A King’s Tale was fun for a free experience but isn't all that memorable in the long run. Feel free to watch the video version of the review here! 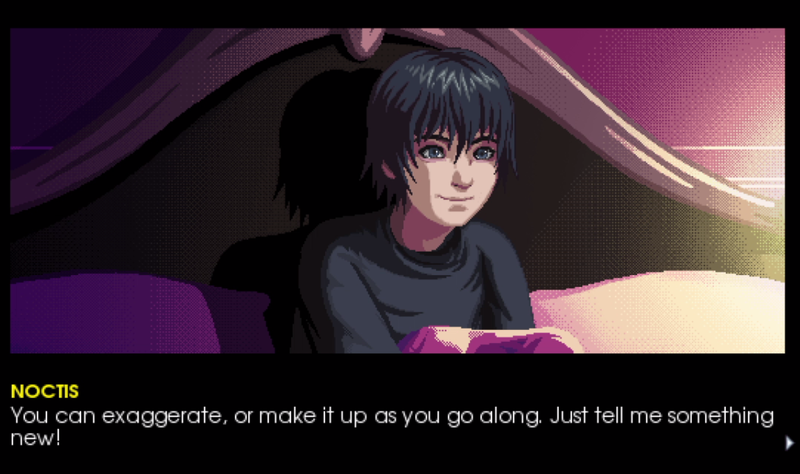 A King’s Tale is part visual novel and part side-scroller. It begins with an adorable exchange between King Regis and a young Prince Noctis sharing a lovely father-son bedtime story moment. Noctis requests for his dad to tell him an epic bedtime story about Regis’ own travels and Regis obliges, with the story being told through the side-scrolling adventure (which I like to think is how the retro-game loving Noct imagines the story). The story told is a little old Final Fantasy with its crystal-chasing shenanigans and a little Final Fantasy XV, with an emphasis placed on the value of friendship. Since it's shown and implied in Kingsglaive and in XV that Regis had his own hardships, the story is proof of the fact that he had a journey similar to Noctis’ one in Final Fantasy XV. He travels with a crew similar in personalities to Noctis’ group, with the exception of standout Cid being way grumpier than the four guys in XV could ever be, in a good way. It was cool to see Regis and his crew summon and fight well-known Final Fantasy foes together, but other than some nice father son moments and terrible dad jokes, it doesn't really add much to the Final Fantasy XV Universe like I was hoping it would. Other Final Fantasy XV side experiences such as Brotherhood and Kingsglaive were so substantial and I was a little bummed A King’s Tale didn’t follow this trend. The gameplay in A King's Tale however was pretty fun. Side-strollers aren't something I play regularly, but the retro music and hordes of enemies to take on were challenging enough and I was often rewarded by a cool summon animation in the bigger battles. Seeing some of Final Fantasy XV's places in pixel art style was a nice touch and most of the familiar enemies all needed different combos or attack types which kept me on my toes. 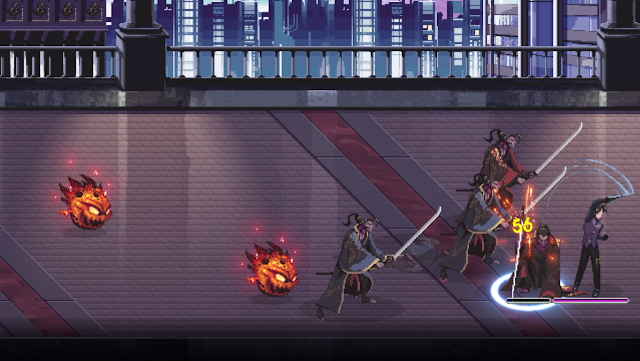 One of my favourite and least favourite mechanics in A King’s Tale was the Armiger, a cool multiple weapon super attack that has the ability to attack 4 times if you use your teammates right. This created a good goal towards, as the Armiger breaks its charge if you get hit and to get maximum damage, you must have used all your teammates attacks at least once before using it. It created an interesting dilemma of sometimes prioritising hiding and running from the hordes of enemies until I could use of the teammates instead of defeating the ones before me and I couldn't help but feel a little mad when I was hit and had to start all over. While it might have been frustrating, I think it was frustrating in a fun arcade style way that made me want to keep challenging my way through until I could unleash my best attack and see Regis’ disco battle victory pose as a small victory. As someone who isn't a huge side-scroller player, my time with A King’s Tale was fun enough. I enjoyed the challenge from the sheer hordes of enemies I faced and the quick peak into Regis’ past, even if it didn't really add much to the Final Fantasy XV universe. It's definitely no replacement for the core Final Fantasy XV game, but A King’s Tale is a fun and different experience for those with a little extra time. 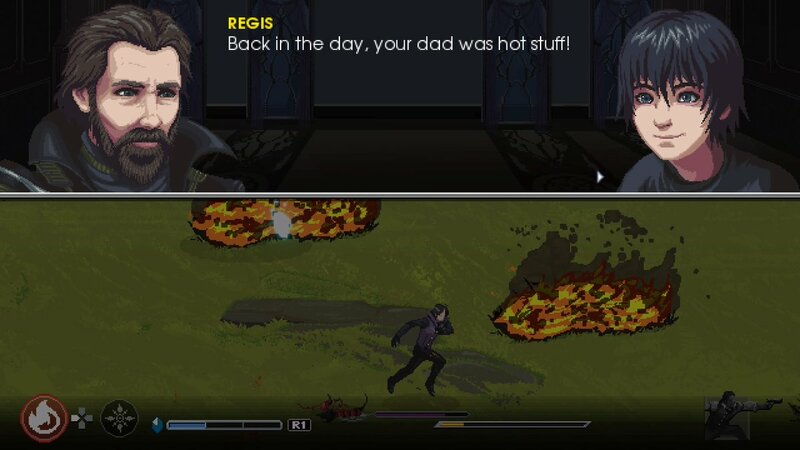 Don't forget: Regis was hot stuff. You can download A King's Tale: Final Fantasy XV for free on the Playstation Network Store or the Microsoft Store. What did you think of A King's Tale: Final Fantasy XV? Do you prefer retro or new style Final Fantasy games?